Sebastian Novoa and Damon Collette are opposites when it comes to the sport of soccer. Novoa thrives as a goal scorer. Collette excels at stopping goals. Novoa, a senior, has a passion for the sport derived from playing since he was 4-years-old. Collette had never played soccer prior to going out for the Cannon County squad one week before the start of the 2010 season. Despite the differences in their positions and length of playing the sport, there is one overriding similarity between the two players that make them among the best at their positions in District 8-AA - passion. "Soccer is something that has always been in our family," said Novoa, a stellar forward for the Lions. "I love playing soccer, being with my friends, scoring, winning. Soccer is the only sport I play and I give it everything I have." Collette, a junior goalie, was not as enthusiastic about the sport initially. He had never played prior to his sophomore year and had to be encouraged to come out for the team. Once on the field, Collette's athleticism and heart made him a natural. "I wasn't sure about playing soccer and I was real iffy and going back and forth on it," said Collette, a standout performer on the Lions' football team. "I figured if nothing else it would be good conditioning for football in the offseason so I gave it a try. Once I got out there I feel in love with the sport. I love the way the game is played and the bond you make with your team." Novoa is one of District 8-AA's top scorers with four goals so far this season and more than 25 for his career. "Sabastian is a true leader," Cannon County Head Coach Shannon Gannon said. "He is all about soccer. I have never known him to miss a day of practice, never contest what you say. He always works to help others reach a new level on the field." What Collette may have lacked in experience, he more than makes up for in heart. "Damon is the last line of defense," Gannon said. "When it is crunch time there is no other player I would rather have out there than Damon Collette. He has the heart of a warrior. I have seen him take kicks in the head and jump right back up and block a shot. I have seen him take a brutal beating out there and he just keeps coming. I love him as a warrior." Collette has been under duress quite often but the determined keeper defends his turf. He is averaging 10 saves per game this season, including 55 stops in the last four games. "I just thank God for giving me the ability he has given me and allowing me to help my teammates," Collette said. "It takes heart, discipline, determination and self-control to be a good goalie. If you give up a goal you have to forget about it and clear your mind." Novoa's passion for the sport was put to the test when his family moved to Woodbury from Florida only to find out Cannon County did not offer soccer at the high school level. This was a crushing reality for a person whose passion is soccer. Novoa's oldest brother, Guillermo, played semi-pro soccer in Peru. The younger Novoa couldn’t imagine not having the opportunity to play the one sport he had always considered his - especially as he entered high school. "I thought it was crazy that they didn't have soccer because everywhere I have ever been there is soccer," Novoa said. "My dad (Guillermo) and my brother (Miguel) sat down and talked about starting a program. We met with (CCHS Principal Tim) Knox and then went to the school board and was able to get it done. My dad was coaching at first and Shannon Gannon was helping us and he took it from there. 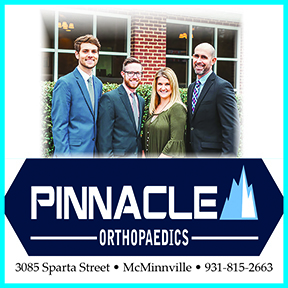 I believe we have developed a good, competitive program that Cannon County can be proud of." Novoa is one of nine seniors on the Cannon County soccer team. He and teammate Damian Coomes are the only original members of the first Cannon County soccer squad. 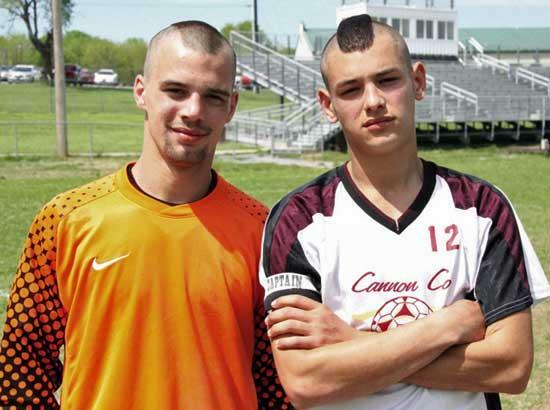 In a matter of three-plus seasons Cannon County soccer has become a competitive program in District 8-AA and players such as Novoa and Collette are among the many reasons. The CCHS soccer program is making strides under Gannon in its early stages but it is clear the graduation of Novoa, as well as eight senior teammates, will have an impact next season.